No temptation has overtaken you except what is common to humanity. God is faithful, and He will not allow you to be tempted beyond what you are able, but with temptation He will also provide a way of escape so that you are able to bear it. None of us are immune to temptation. It comes at us any time it wants to. Christian women are bombarded with temptation more often than we care to admit. Temptation comes in all forms; food, drugs, drunkenness, sexual, rage & anger, discontentment, pride, bitterness, etc. I see it as anything that makes us lose control and sin in the involvement of it. It’s the thing that overrides our better judgment. Even if we don’t give in, there’s usually shame and a feeling of worthlessness that comes with the thoughts. But when we look at 1 Corinthians 10:13, we see that there is an opportunity to turn away and flee from temptation. We get the chance every single time we feel like we’ll be overtaken. I talk more today on Rachael Carman’s blog about starting steps to overcoming temptation in His Provision in Temptation. 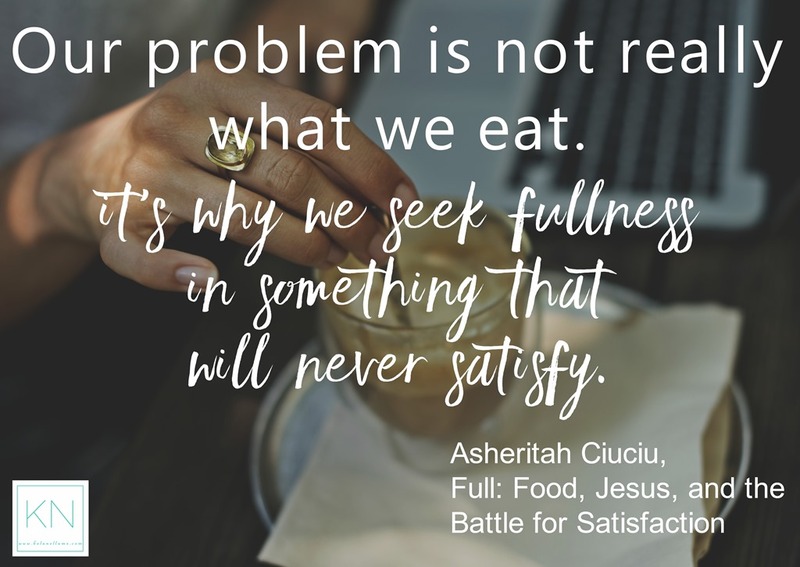 But before you go, I want to share a quote from my friend, Asheritah Ciuciu, author of the book Full: Food, Jesus, and the Battle for Satisfaction. Although this is a book about food temptation and addiction, it’s helped me in other areas in my life that I can be easily tempted in! In this quote, we can substitute the word “eat” for any part of our lives that temptation is trying to get a stronghold! Our problem is not really what we eat. It’s why we seek fullness in something that will never satisfy. Also, I want to offer some verses that a friend and I looked up to help in the journey of overcoming temptation. If you need more to help you each day, The YouVersion Bible App has many good Reading Plans on temptation also!